Progress towards improving a core product—or building a new one—sometimes feels slow because behind-the-scenes work doesn’t immediately translate into slick new features. But each month adds wiring for a fuller platform of tools that organizations can benefit from holistically. It’s a long vision game that eventually, suddenly, bares fruits. Every two weeks we send our users a product news email to inform them about what’s new or improved on Classy. In March, we dedicated these emails to Classy Pay. After a lot of talk, we wanted to provide a status update about Classy Pay. While Classy Pay doesn’t have all the bells and whistles of our long term vision just yet, it is now up and running. At first glance, this may look like a lot of extra steps. But this is beneficial to our nonprofit partners because it creates a doorway for them to interact with a donation directly through Classy, rather than through their payment processor. The idea is that an organization can consolidate the number of administrative steps they need to take to reconcile gifts or manage recurring donations. Classy takes on that burden. In the future, the wiring Classy Pay engineers coded over the last year enables a diverse range of payment-related features, like multiple payment processors or ACH payments, to run through Classy. Although we’re a bit far out from that, stay tuned. You can also learn more about the future of payments at Classy at this year’s Collaborative in Boston. 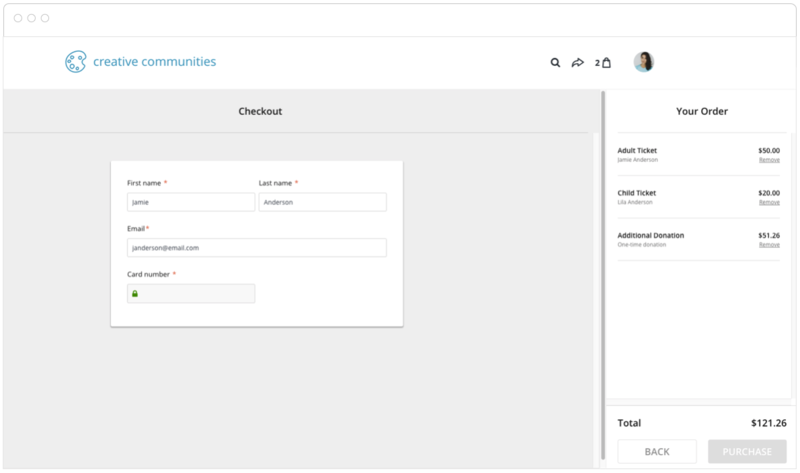 This is the first time the Classy for Salesforce integration underwent such a major upgrade. While a lot of the improvements remain unseen from a user interface perspective, it’s yet another example of an entire overhaul of infrastructure that will position the team to make more frequent improvements to the platform. In 2016 alone, the Classy for Salesforce engineering team tripled. That work shines bright with the improvements in contact matching, history tracking, and data structures. We spent a lot of time thinking about how data flows from Classy to Salesforce, to make the integration more efficient and to transform us into an agile team that releases upgrades faster and more often. In March, we previewed new Registration with Fundraising. It follows in the footsteps of Crowdfunding and Peer-to-Peer, but includes significant improvements to the setup and attendee management on the administrator side, and to the checkout on the supporter side. 1. It’s the first event type in what will eventually be an upgraded event suite. Making use of the latest Classy technology, new Registration with Fundraising is a cornerstone for future functionality across the new Fundraising Suite. 2. It’s the first time Classy Pay appears in the checkout. This is another example where a lot of foundational work is finally presenting itself. Registrations and donations made to a Registration with Fundraising event will now run through the Classy Pay intermediary service. This lets us utilize a shorter, more intuitive payment form and more efficiently process registrations and donations. 3. A Classy for Salesforce update will follow on the heels of the Registration with Fundraising release. The update will include the fields and functionality specific to Registration with Fundraising. 4. Unlike previous releases, Registration with Fundraising launch will happen in phases. Some users may have access to the product before others as we roll it out in groups. All of this demonstrates that our specialized engineering pods, which heavily invested in modernizing and rebuilding our infrastructure this last year, will result in more impactful products for our nonprofit partners moving forward.